Are you ready to expand the way Central Pennsylvania does business? 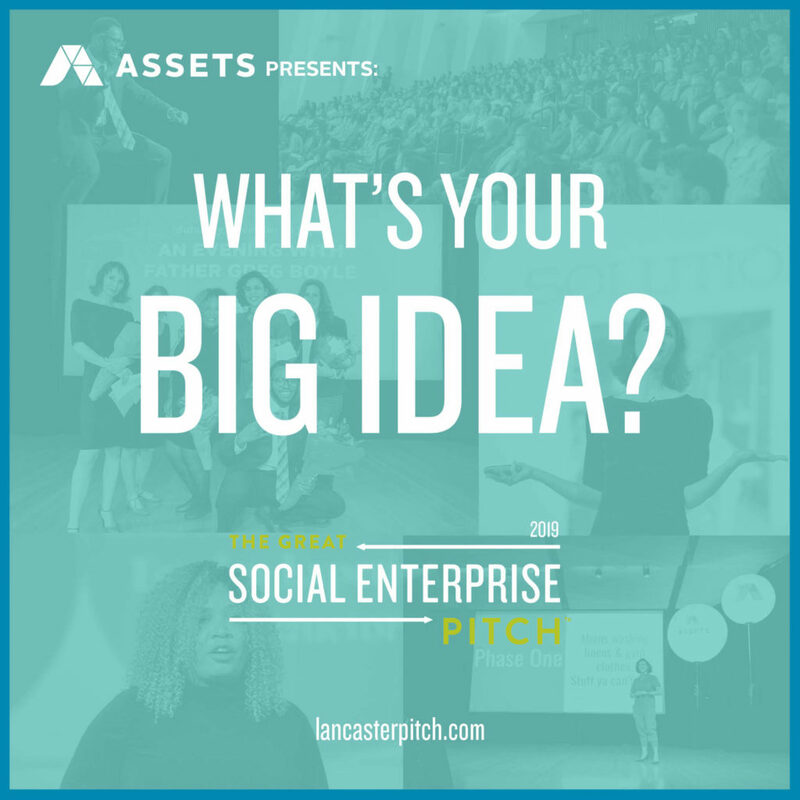 ASSETS’ 2019 Great Social Enterprise Pitch is bigger and better, so now is the time to turn your idea into reality. The annual Great Social Enterprise Pitch is a business plan competition for Central PA entrepreneurs with business ideas or start-ups that use a positive social and environmental impact model. In our 6th year of The Pitch, we’ve created more opportunities for entrepreneurs to get involved. By now offering our 10-week Idea Incubators twice a year, more entrepreneurs have the chance to hone their idea, and get their business plan in tip-top shape before applying for The Pitch. The Idea Incubator is a prerequisite for the 2019 Great Social Enterprise Pitch competition, so don’t miss the March 25th application deadline! STEP 1: THINK YOU’VE GOT A GREAT BIZ IDEA? TELL US. Apply for ASSETS’ 10-week Idea Incubator to sharpen your idea or business model.Applications are due March 25th, 2019 at 11:59 pm. Classes held on Wednesdays from 6-9 p.m. STEP 2: HONE YOUR IDEA THROUGH EXPERT TRAINING. Get your social enterprise in tip-top shape! If accepted into the Idea Incubator, spend 10 weeks with like-minded entrepreneurs in a collaborative environment. You will leave with an externally-critiqued business plan, an outline for community impact, and an understanding of what your next steps should be. *This Idea Incubator is a prerequisite for the 2019 Great Social Enterprise Pitch competition, so it includes additional education on integrating social and environmental impact through your business model. STEP 3: READY FOR THE MAIN EVENT? APPLY FOR THE PITCH. It all comes down to this! Put what you’ve learned into action and submit your video application for The Great Social Enterprise Pitch at Lancasterpitch.com. The top ten applicants engage in a 5-week Intensive that builds on the Idea Incubator and prepares you for the ultimate goal — a chance to compete in The Pitch. Halfway through, the Final Five will be chosen and carefully coached to prepare for the big day. STEP 4: GET ON STAGE & SHOW US WHAT YOU’VE GOT. 5 finalists, 5 judges, 5 minutes. It’s the Live Pitch! The Final Five will have five minutes to pitch their business idea to a panelist of judges and a live audience, competing for cash prizes, pro-bono services, and the chance to be Central PA’s newest innovative business idea!